Beautiful and perfect holiday gift. 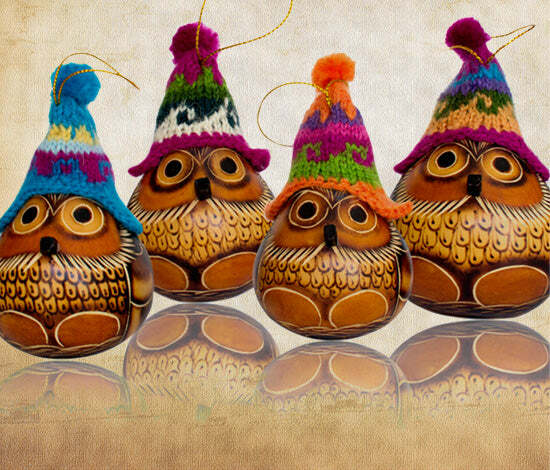 Handmade by Peruvian artisans, this gourd ornament has been carved, painted and burned to achieve this beautiful tones. Height: 2.5" approx. by Width: 2" approx. Due to the nature of this piece, size and color may very slightly.